Corella Construction is a family owned Queensland Company with nearly 20 years of building expertise. 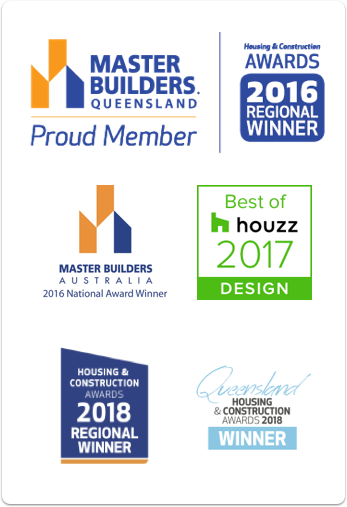 We have extensive experience in both residential and commercial environments, and have countless satisfied Queensland clients with a proven track record of success. We’re experts in our field of custom homes and renovations and have transformed a variety of homes across Brisbane. Corella Construction can manage all your building needs from start to finish. We endeavour to exceed expectations and make your dreams a reality. The heart of our business lies with giving life to new and old homes. Owners Craig and Ella Brown, with their respective building and accounting experience, will ensure your vision is brought to life, no matter the build or project. Corella Construction is the union of exceptional craftsmanship and efficient administrative skills, through which outstanding results are achieved, time and time again. Learn more about Craig Brown’s global building expertise and history as one of Brisbane’s most experienced builders. Craig doesn’t just build, he understands. Forming relationships and ongoing partnerships with clients allows Craig and his team to excel in their workmanship and create beautiful, unique homes. Our team possess a solid foundation of local and global experience, and the awards under our tool belt are evidence of our teams knowledge and finely tailored skills. We are proud winners of multiple industry awards recognising both our team members and our homes themselves. Below are some of the Master Builders awards we’ve proudly won by providing excellent results to our valuable clients. View the links below for each award, or read our article for more information. Let our skilled team build your luxury custom home. Once you’ve uncovered the perfect location, we’ll lead you on the path to living your best life in your stunning new home. Not all good things must come to an end, some just need a new lease on life! Have you got ideas, dreams or a new direction for your current home? Turn your once loved home into a modern marvel with help from our renovation specialists! We are the market leader in Brisbane, and with our extensive experience and excellent portfolio of houses, our goal is to help our clients achieve their dream homes. 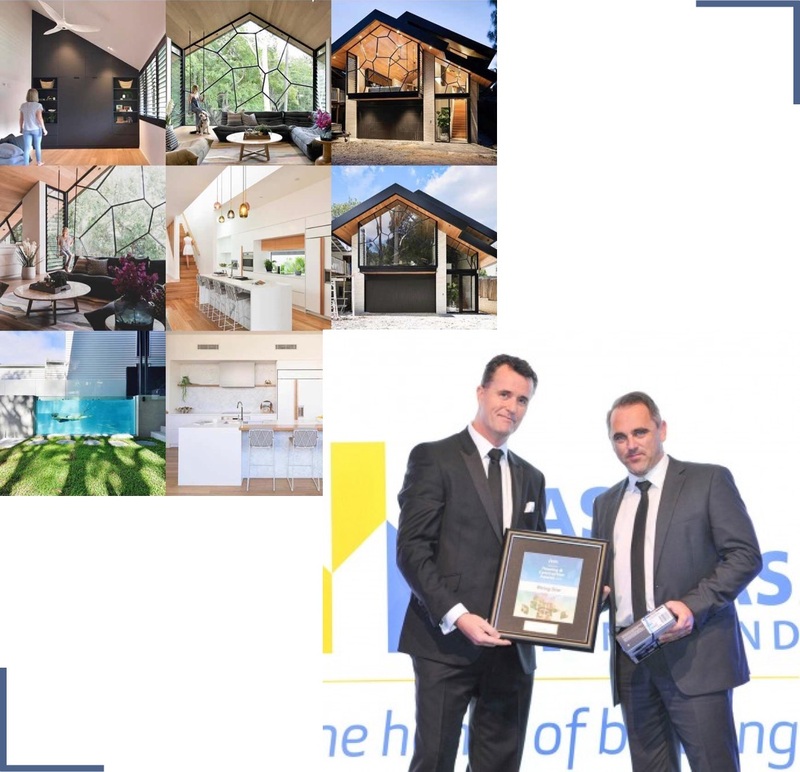 We are the market leader in Brisbane, and with our extensive experience and an excellent portfolio of houses, our goal is to help our clients create their dream homes. We are leading renovators and builders of the Brisbane housing market with a broad knowledge of the local area. We understand life in Queensland and tailor our renovations to suit every aspect of life, inland and on the coast. Explore our most recent projects to discover how we can guide you through your renovation or new build. Let our skilled team build a luxury home with a contemporary vibe. Once you’ve uncovered the perfect location, we’ll lead you on the path to living your best life in your stunning new home. Not all good things must come to an end, some just need a new lease on life. Have you got ideas, dreams or a new direction for your current home? Turn your once loved home into a modern marvel with help from your renovation specialists! When circumstances change, bigger can often be better. Add more space, more value and a taste of modern architecture to your current home. Extensions and renovations go hand in hand. Talk to our specialists about including both in your project. Whether it’s a new home, renovations, home extensions or simple repairs to your existing home, we will meet, quote, build and complete your project on time and on budget. Brisbane boasts beautiful architecture, and Corella Construction will ensure your home shines brightest. We are dedicated to upholding strong communication with new and existing clients, and we’re focused on answering any questions you may have throughout the process. We aim to build long-term relationships with our clients and will work hard to ensure this occurs. To view a full list of our services, please view our Building and Renovations Brisbane Services list. Contact us to discuss your ideas and requirements, or to learn more about our team of experienced builders. Let’s explore your vision today! If you’re ready to take the next step towards building your dream home, or if you would like a consultation or to explore your ideas further. © Corella Construction 2019. All rights reserved.